NuEar Hearing Aids Reviews - Are They Worth The Price? UPDATED: October 16, 2018 – NuEar Hearing Aids Reviews provides customers with a comparison of NuEar hearing aid models and features. NuEar hearing aids is a company that produces a high-quality line of hearing devices that have a remarkable reputation within the industry. The company has been around for quite some time and has received praise from a broad spectrum of individuals that include doctors as well as patients. Let’s talk a little bit more about the technology that NuEar hearing aids reviews is involved with, as well as a few of their more modern lines of hearing aids. 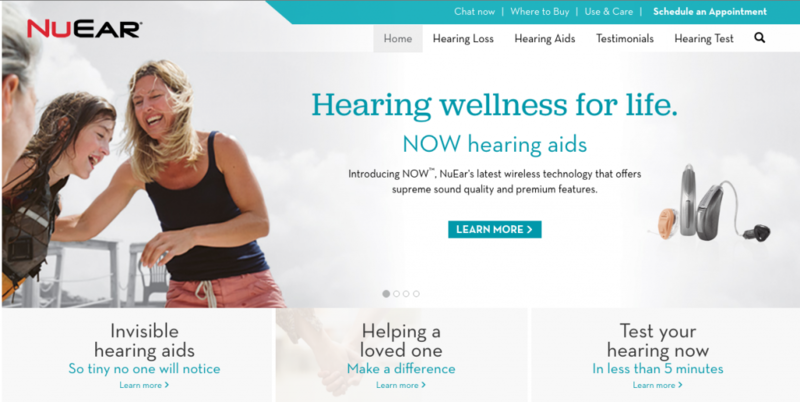 NuEar Hearing Aids Reviews uses actual users to gather their reviews. So you can rest assured that your decision is the most informed. 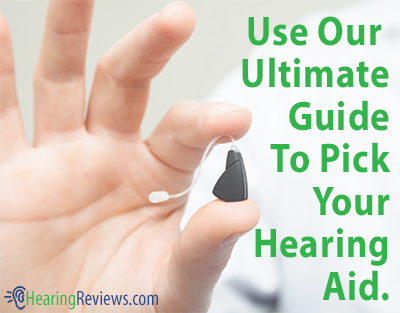 NuEar Hearing Aids Reviews prides itself on creating a full overview of each model it tests. Vivid Speech was designed to reduce the problems with those above dramatically. It reduces noise between syllables to help you experience a maximum level of comfort while at the same time giving you the clearest speech possible — even in the noisiest environments. 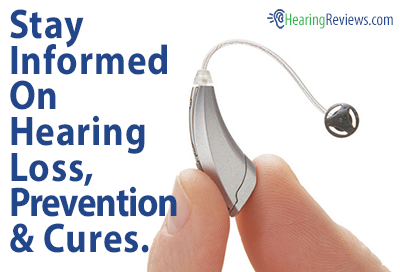 Let’s move away from NuEar technology and look at specific models of hearing aids. The mini BTE features “React Touch Control Technology,” allowing users to adjust the hearing aid volume to match your environment. Miniscopic is another model made by NuEar that is considered to be 100% invisible. It is a deep insertion hearing aid that is uniquely customized to fit your ear’s canal. Don’t worry, getting fit for this hearing aid is not as time-consuming or problematic as it might initially seem. Miniscopic’s state-of-the-art digital technology is 100% programmable and is available for a variety of different types of hearing loss. In closing, NuEar hearing aids reviews found that NuEar’s products are worth considering when looking for a hearing aid. Remember, we have only scratched the surface of what the company offers. There is a lot more to learn about NuEar and their products. I bought two NuEar hearing aids two years ago at just under $4000.00 and they have not worked more then they have worked. The left one squalls periodically that likes to head off. Make me and offer you think there so great. I bought a set of NuEars for just under $4K They went south in the first week!! I have had them to various audiologists for service. (The original company where I purchased them went out of business) They all say tha they do not repair NuEar products.I have had these BTE aids for about 5 years, and I have used them about a total of 3 weeks. NuEar aids in my opinion are a rip-off. I even sent them to the factory, and they sent them back stating that they just make them, they don’t service them !!! I would NEVER recommend NuEar to anyone, even my worst enemy..
Ray, I’m sorry to hear about the experience you had last year. It sounds like the hearing professional that was working with you is unable to provide the proper hearing health care you’ve needed. When moving forward with better hearing the hearing professional and the right hearing device go hand in hand. These concerns should have been addressed from the beginning. I’d be more than happy to help! Wesley, I’m sorry to hear about your experience you had 7 years ago. What type of NuEar devices did you purchase? (Custom or BTE) It sounds like your left ear was leaking out sound causing feedback. This could be due to an in proper fit with the ear mold or a change in your ear canal. This is something your hearing professional should be able to help resolve. If they are not able to help you or provide the proper care I’d be more than happy to help! I have had a pair of Nuear CIC hearing aids for just under two months. I had to return them to the manufacturer again today for the second time. The first time was for a manufacturing defect that resulted in a hole opening up on one side. The outside shell had to be re-made. This time it was stuck in a diagnostic mode repeating “1, 2, 3” over and over. As with the first time, I’m told it will take at least a week to get it back. These things cost $3800 APIECE. Don’t buy NuEar hearing aids. Obviously, they have serious product quality problems. I have spent over 10,000 dollars on 3 Nu-Ear hearing aids and still cannot hear it thunder. Batteries only last about 2 days. 2 out of the three have been rebuilt. One of them twice at a cost of 1050.00. At this moment one of them is still in the shop. Hearing specialist told me I needed to upgrade. The last one I purchased is only 2 years old and is on it’s 2nd rebuild. I have a NuEar RIC It does many things I don’t want and nothing I want. Is there an aftermarket for these. I need to get out from under the debt. I have a pair of CIC Nu Ear. They are JUNK! The plastic knob broke off after 2 months and Nu Ear want $350. DO NOT BUY NU EAR. Hearing aid business is a rip off. FIGHT BACK DON’T BE TAKEN. Dont ever purchase anything from nuear. Mine have been in for repairs 7 times in 3 years. And now the shell has cracked from being apart so many times. They refuse to fix it for me because I didnt buy their extended warrenty. They say I need to buy a new one. Poor product and even poorer customer service. Steer clear of this company. I have had Nuear hearing aids for 4 and a have weeks and now I am being told I cannot return them because my trial period ended in 30 days. They do not help me at all. The Sales Person was very convincing telling me they would work with me but when I said I was convinced I really didn’t need hearing aids he told me I was out of the trail period. I feel even the tests that were given were fixed. I am very disappointed with the no-return policy. Bought my Nuear set 4 years ago. The right has been in for repair virtually every 4-6 mths. Every time I take it in they tell me its something different so its not covered under the warranty. Every repair averages $100-$200, plus I am constantly having to take off work running back & forth to my tech’s office for the repair or doing without my aid for weeks on end while its sent out tot he company. I had 3 wires & 6 speakers put in. I have been around hearing loss my entire life & know these things should not need this much attention. My old Belltone is 15 year age & other than a tube (wear & tear) replaced I never had anything done to it & it still works. I have to use it for a back up since my job requires me to hear. I wanted new technology & got a hunk of junk. At this point I have dumped about $500 in repairs & I just had another repair done last week but the thing is already back in the shop again 4 days later with an estimated $250 bill. I have left messgaes at the Nuear corp requesting a full / free replacement. No resolution has been done as of yet. My wife bought NuEar’s top-of- the-line hearing aids. When she complained that piano music sounded tinny, the technician told her that pianos do sound tinny. After wearing the hearing aids for a solid week, we had to visit an ENT doctor. He told her she was suffering from auditory trauma. I just got a pair of NuEar Intro for less than $2,000. So much better than $5,000 ASI. The Hearing Healthcare Center audiologist have slowly and carefully adjusted interference, sound levels, tinniness with recurrent visits until I’m satisfied. No hard sell. Quite, the opposite in fitting me with the aids that fit my needs best both from a financial and audiologist standpoint. Competing audiologist just turned up the volume and tried to sell me the top of the line. HHC put finances aside in favor of personal needs. What a positive life changer. I have worn Siemens and Liberty hearing aids, and I just bought the NuEar hearing aids . So far I am vey happy with them. I have been deaf in my left ear since 1993, except for ringing and roaring (tinnitus.) A very fine professional audiologist installed my new hearing aids, and she programmed them by computer to make the best sounds I could hear. The aids work so well that I can hear real noises in my left ear for the first time in 24 years, not just the ringing and roaring. I am completely satisfied, almost feel like its a miracle. There has never been anything wrong with my ears themselves—I have had many head injuries, several concussions over the years causing my brain to transfer signals and sound imperfectly—-like crossed wires in an old radio. I’ve had a pair of NuEar Intro’s for 2 years now. They cost me half the cost of the last pair I bought from Miracle Ear. No issues with the aids themselves other than the normal necessary cleaning. I don’t get the same level of customer care and it’s difficult to reach them but when I do, I have great service! I’m shocked at all the negative reviews I see here. I will say Miracle Ear provides great customer service and support…the cost is just not affordable there. Wow, am I glad I found this site! I had an appointment for this coming week to see about NuEar aids and after reading all the comments, I am going to call and cancel! I know several people that have had problems with Miracle Ear aids so I’m not even considering those either. Guess my best bet is going to be to go to 2 or 3 audiologists and get suggestions and opinions and maybe test whatever aids they handle and go from there. That’s what I did when I was having an elective surgery a couple of years ago—researched reputations and then went and talked to the ones that seemed like good choices until I narrowed it down to 1. While I have not experienced the issues stated above, their Bluetooth (wireless) integration is sub-standard. Sound migrates from one ear to another, there is static, and it interferes with other Bluetooth applications (such as automobile Bluetooth and sports watch Bluetooth). More often than not I have to remove the batteries for other applications to run. Looking for a solution to permanently disable Bluetooth. NuEar hearing aids in my opinion are THE BEST! I have tried other brands and have never heard sounds this clear.. and restaurants are much easier to have conversations in. I bought higher end technology that helps to decrease noise and I highly recommend purchasing NuEar and working with an Audiologist to help program them to your hearing loss and lifestyle. If something is not right with your aids, don’t just sit at home and complain or wright bad reviews on the company… make sure you have regular visits to have them cleaned and serviced… it’s part of what you pay for and I have never had an issue with my NuEar hearing aids that my Audiologist could not fix for me. Highly Recommend them!! I’ve had mine for one year now. Absolutely love them. Initial set up in the office, and have not returned since then. I’ve been wearing various hearing aids for about 9 years now, and these are far superior to any I’ve had in the past. I hope my good luck continues!! I have had 3 sets of Nu ear aids, the latest being bluetooth, capable, they work great and stay clear for about one year, then all things go to south, with way too many issues, what used to be clear hearing is more like holding a jar to the ear, conversations in places such as restaurants is almost impossible know matter how I try to set I them for the situation or location, I have been in for adjustments many times, “Not the best PR” for $6000. aids one would exspect more for the quality and the service both, every time they need repairing it takes a week or more as they need to be sent to Mfg. for the repair , my next purchase will be of a different brand, with hopefully better luck and service. WOW I just had testing and they ordered me a NuEar product. Very leary now. The office didn’t even have a model or brochure of the one I will be getting.